Our favorite beach bar, On da Beach, has a bar top that has always fascinated me. It’s a long expanse of clear resin. Embedded in the resin are baby turtles, just hatched from their shells. 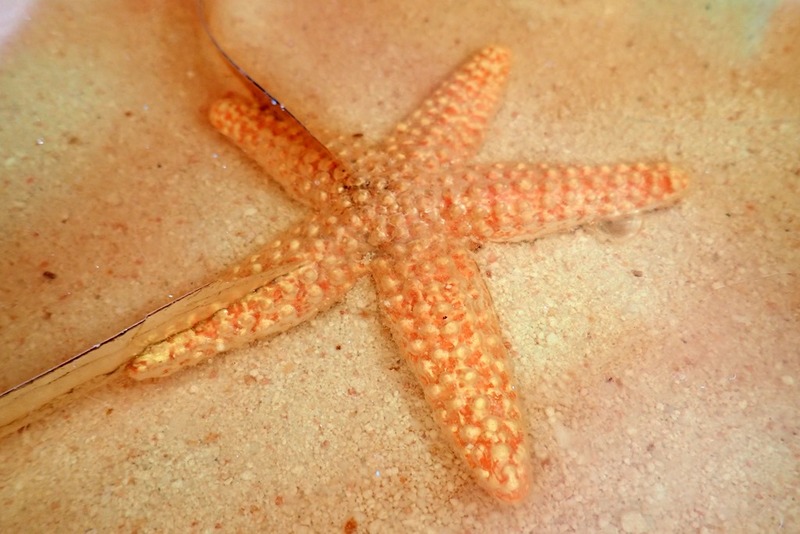 Plus some starfish, all atop a layer of pink Bahamian sand. Although I felt a bit uneasy about the answer I might get, I finally asked, “Where did the baby turtles come from?” Roger, the sweetest, more earnest man I’ve met here, was working behind the bar. He told me the story: There was a nest of turtles on the beach in front of the bar – very common here. He checked the nest regularly. 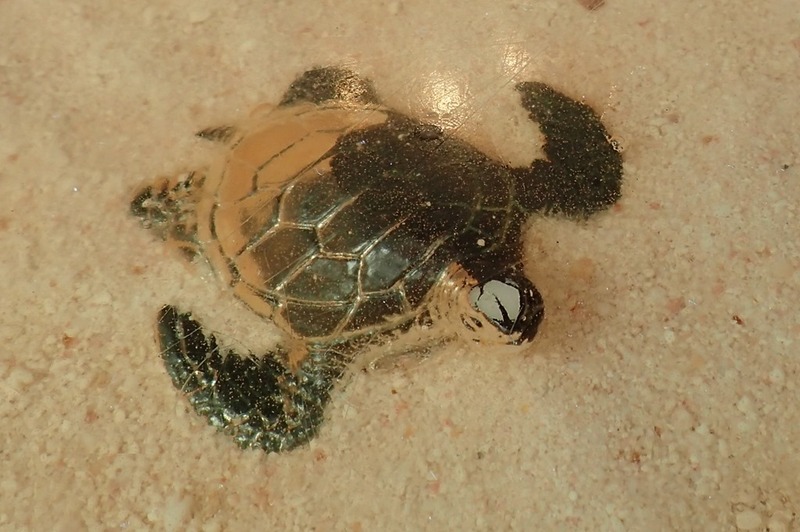 Once the eggs started hatching, the baby turtles were carried up to the bar and secured in place with pins. 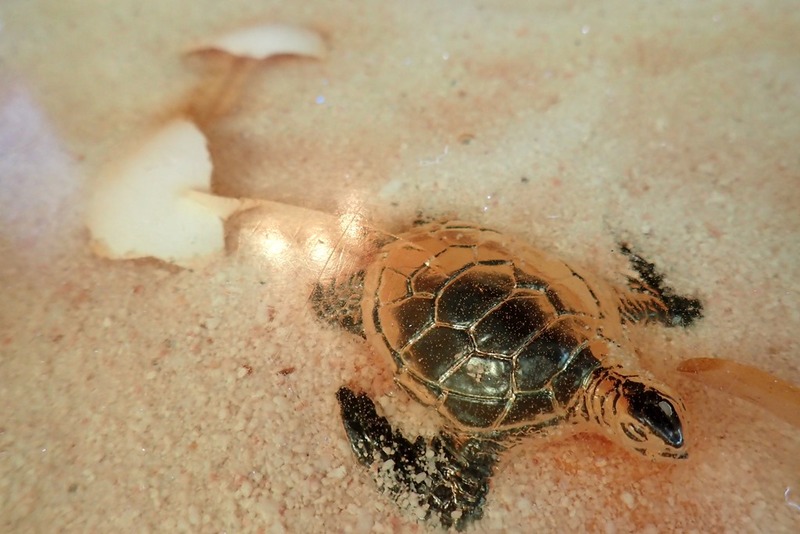 After the baby turtles were individually pinned to the counter, on top of a layer of sand, resin was poured over them. This is how they look now. As Roger told the story, my jaw fell further and further – my eyes got bigger and bigger. The outrage was just ready to explode when Roger turned away, laughing quietly. “They’re plastic,” he mumbled, “with chicken eggs.